Closed: Fixed None Opened 2 years ago by duffy. Let's aim for July 15. We want something cheaper to produce. Is this in a language other than English? Up to discretion of designer. A7 might be a good size. While we're still deciding on what info will be on badges, I've started working on designs. I really like the direction T-shirt design is going, especially flower motives. For the name I took the longest one I could find from registered participants list. 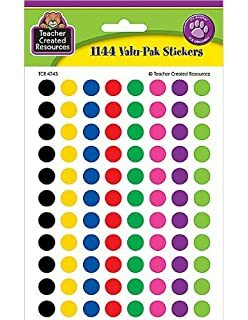 Some thoughts: we can have different colored stickers for different food preferences - like these https://images-na.ssl-images-amazon.com/images/I/51U2iwVr7LL._AC_UL320_SR248,320_.jpg. Probably we can indicate statuses like: volunteer, organizer, speaker, guest. Some people have entered phrases in field 'Badge' when registering. Where should that go? Last year back of the badge had useful info and phone numbers. Ooh these look wonderful! I think the sticker idea makes sense too. I got rid of the flower outlines and added outline to rectangle under name, also made it bigger. 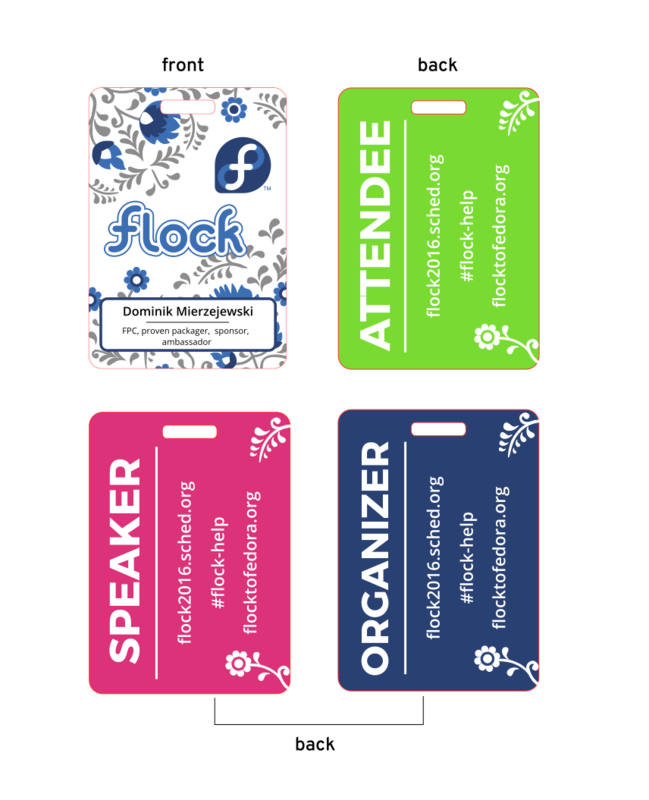 The back of the badge can be different colors for organizer, speaker, attendee. Also based on the discussion in mailing list I suggest we leave the sched.org link, irc-help and flock website. Considering food preferences I still think colored stickers are a good idea. UPD updated the mock-up a little bit - the flowers and arrangement. For the lanyard itself I'm thinking Fedora dark blue with Fedora / Flock logos. These look beautiful :) Love the design! Do you think we should have the wifi info too? Bex is working on getting that. Sounds great! I think stickers should be enough. It depends: we can either have it on badges or there might be posters all over the venue, or both. Maybe on brochure cover, too? Let's drop the wifi idea and move forward with this. Maria, can you prep for print (will need CMYK) using Scribus and upload your SVG and SLA sources (might be able to use them another year with a different artwork.) Then upload the PDFs for the printer too of course. I'll make up the spreadsheet with the attendee data for the vendor and send to you and Kveta. All files added to the ticket.